Our Certified Chimney Sweeps use state of the art equipment to inspect and sweep your home’s chimPre-Fab-Chimney-Illustrationneys. While sweeping your chimney, we pay attention to detect apparent problems that could prevent peak performance. 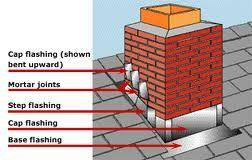 We will also make recommendations and provide information to ensure your chimney burns safely and cleanly. Our process includes three levels of inspection as outlined by the National Fire Protection Association (NFPA)’s 211 (Standard for Chimneys, Fireplaces, Vents, and Solid Fuel Burning Appliance). This is the standard upon which CSIA-Certified Chimney Sweeps based their services, which now classifies chimney and venting system inspections into three levels. Each level of inspection has a specific scope of work and specific criteria. We specialize in fireplace cleaning and inspections. Our chimney cleaning perform various levels of chimney inspections beginning with a full inspection from the top of the fireplace. 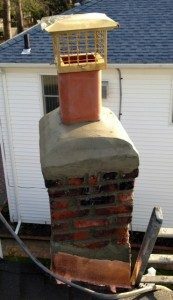 The full inspection includes the chimney cap, chimney crown, flashing, brickwork, and we even check for loose roof shingles. After the inspection, the chimney and fireplace is cleaned. Then our technician will inspect the inside the chimney and fireplace including a full inspection of the smoke chamber, damper, firebox, lintel, hearth, and the ash dump door. This is a full inspection of the smoke chamber, damper, firebox, lintel, hearth, and the ash dump door. Animals love rent free spaces that have been constructed by man and chimneys are a great place for animals to live. It can happen every year during the times your chimney is not in use. Critters, birds, and rodents move in and problems arise. Animals in the chimney can be hazardous to your safety. Whether it’s a nest in the chimney or a squirrel that fell into the stove, these unwanted pests create problems from partial or full blockage of the chimney. Additionally, the possibility of environmental damage and insect infestation from biological remains can be more damaging than partial blockages as the effects could take longer to present. Should you have a problem, we are a phone call away. Our trained technicians will handle the animal removal. Our state of the art equipment allows us to inspect the inside of your chimney within inches of the interior of the flue liner. Video scans allow our technicians to closely examine areas of the chimney and heating system that had, in the past, been inaccessible and difficult to assess. This is the best way to evaluate the interior condition of your flue liner and make a recommendation that is appropriate for your situation. Once your chimney has been inspected, our experienced technicians are able to perform all repair work necessary, regardless of the types of chimney problems detected. From leaky, corroded, or damaged chase tops to crown repair or water leaks, you can count on us to thoroughly correct the problem and giving you peace of mind and help you to provide the healthy home that your family deserves.